It is with great sadness that we announce the sudden passing of James Robert Darrell Musgrave age 57, beloved brother, uncle and friend, on Wednesday October 24, 2018 at his home. Born in North Sydney on January 30, 1961, Robert was the son of the late Harold and Sheila (Whitman) Musgrave. He enjoyed spending time with his family, especially his special niece and nephew, Karlee and Jason. Robert is survived by his sisters, Glenda (Tom) Ball, Leitches Creek, Cheryl (Joe) MacNeil, Frenchvale, Judy Campbell, Sydney, Wanda (Jamie) McGillivary, Balls Creek; his brother, Darren (Krista) Musgrave, with whom he lived in Balls Creek; brother-in-law, John Burton, Frenchvale, also by a number of nieces and nephews. Besides his parents, Robert was predeceased by his sister, Coreen Burton; two brothers, George and Harold “Babe” Musgrave; by a niece, Elizabeth Eileen McGillivary. There will be no visitation. A funeral service for Robert will be held at 11 a.m. on Monday at St. Columba United Church, Leitches Creek with Mary Quirk officiating. 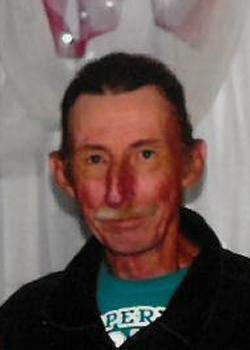 Burial will take place in Calvin United Church Cemetery, Upper Leitches Creek. Funeral arrangements are under the care and direction of the W.J. Dooley Funeral Home, 107 Pleasant St., North Sydney.